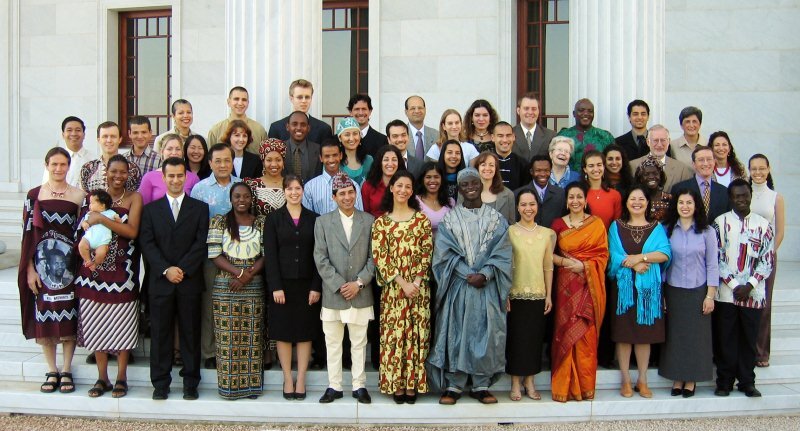 Members of the Bahai Faith around the world. Reprinted by courtesy of Bahai International Community. the unity of the races and elimination of prejudice, the equality of women and men, universal education, the elimination of extremes of wealth and poverty, a spiritual solution to economic problems, the harmony of science and religion, the independent investigation of truth, the creation of a world commonwealth of nations that will keep the peace through collective security. More is available here about the Bahá’í Faith.